December 13th is Saint Lucy's Feast Day, and this will be my little families first time celebrating. It's much more commonly observed in European countries, but I'd always been curious to learn more. And so I did a bit of reading! There are all sorts of wonderful resources out there, and wonderful traditions. But I chose two. Because simple is good! The first fun observance that we'll do is the the morning presentation of sweets by my crown carrying young lady (see picture at the bottom! 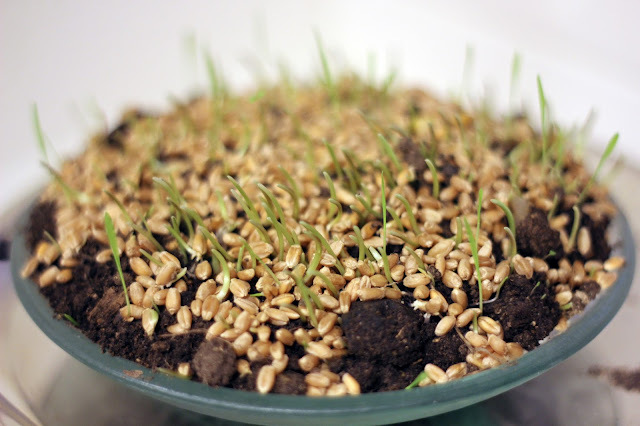 ), and the second is sprouting wheat. 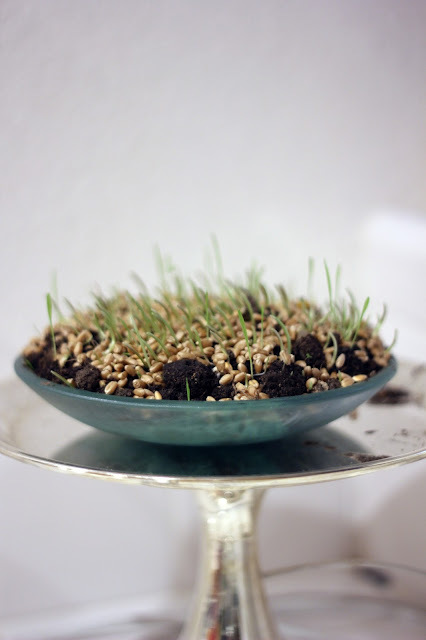 I love the idea of sprouting wheat. There is meaning and symbolism in it that I think is really beautiful, and it's a really fun activity for the kids at the same time. The symbolism behind the growing wheat is that Life comes from Death. Once the wheat has grown and sprouted over the course of the week or so before Christmas, then it is presented at the manger scene on Christmas. Jesus came and brings new life. It's a beautiful thing. And the children get to enjoy watching the wheat grow! Simply sprinkle it over a shallow dish of soil, and spray it generously with water from a spray bottle once a day and watch it grow. 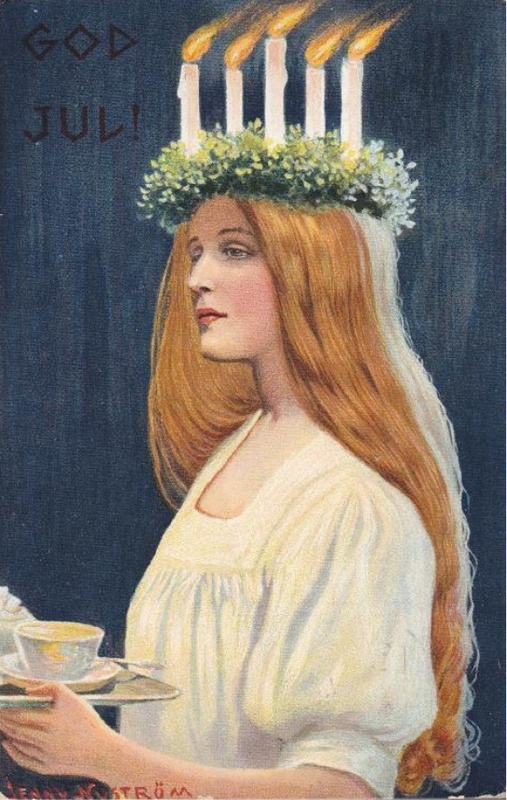 For more on St Lucy's Feast Day, and a tutorial on how to make this St Lucy Crown, visit Catholic Sistas!